It’s that time of year again when thousands upon thousands of students arrive on uOttawa campuses to sharpen their brains, learn the art of innovation and experience the wonders of student life. It’s also a time when researchers on campus and at affiliated institutions tend to shift things into high gear. And this year, they’ll be doing it with a $6.5 million boost in support from the Ontario government. 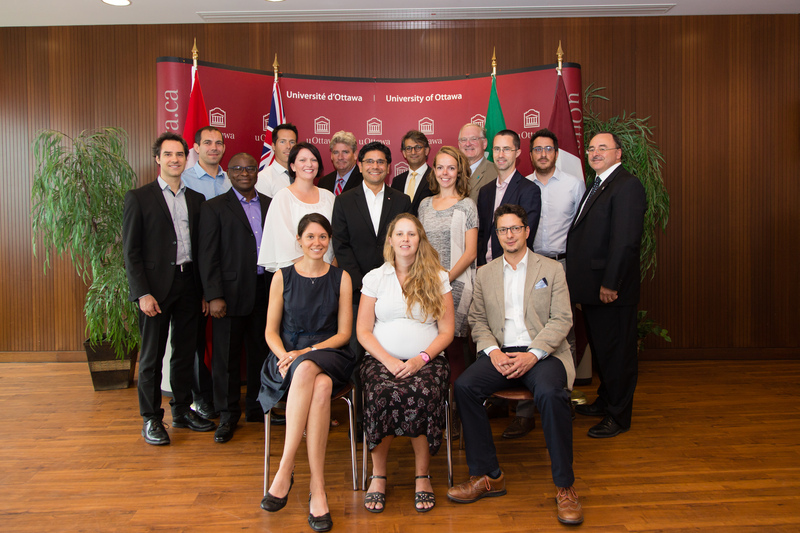 The funding, which was announced at the University of Ottawa as part of the Ministry of Research and Innovation’s Ontario Research Fund and the Early Researcher Award program, will support 31 research projects that explore everything from smart organic sensors, quantum cryptography and photonics to climate change and access to justice for refugees, among others. The money will be used by researchers from the University of Ottawa, the CHEO Research Institute, and the Ottawa Hospital Research Institute to help bolster infrastructure and to bulk up their research teams. “It’s important to emphasize that our province’s unwavering support of the University of Ottawa plays a major role in our ability to produce breakthrough research that will sharpen Ontario’s competitive edge and better prepare the next generation of leaders,” said Mona Nemer, uOttawa Vice-President, Research.